Welcome to the MultiEngine from STIHL. Pick Tine - Ideal for recultivating & loosening heavy, loamy soil. 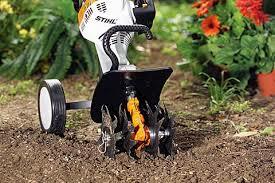 Bolo Tine - Ideal for precision work, spreading fine sandy soil. 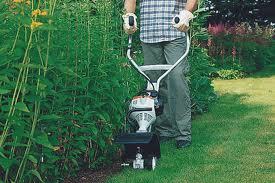 Edge Trimmer - Perfectrly cut edges, penetrating as far as the roots. Aerator - Perforated the lawn surface to ensure optimul supply of nutrients & ventilation, improving root growth. 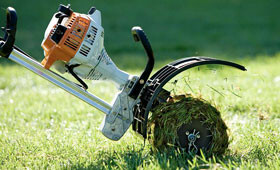 Dethatcher - Removes moss & matted growth from the lawn surface. Power Sweeper - Ideal for sweeping footpaths & roads. Removes dirt, sand, small stones & leaves. Bristle Brush - Ideal for removing dirt from paved areas or uneven natural stone surfaces. 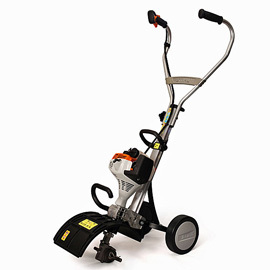 Innovative engine technology making starting easier, multi function handle along with many other innovative features makes this machine a versatile companion to have around the garden. Call the sales team today to discuss the range on more detail.